Welcome to Creation Nation! You will have lots of fun here! Its where you can show off your art, songs, or talk to other artists about stuff! If you want full access you should register! » WOW! 0.0 wow, wow, wow, wow, WOWWW! » Hollywood Stars Graphics! Come get your next avvie and siggy! » Webkinz Next Top Model Contest! <3 <3 <3 Enter for a chance to win an exclusive Webkinz Dragster! 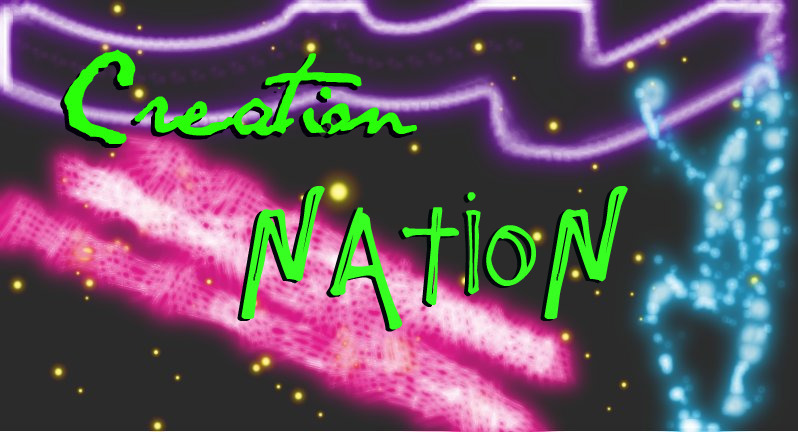 Welcome to Creation Nation! The art website! You'll have tons of fun here! If you want to post messages, you have to register!! If you have any suggestions that would make this website better, please post them! Post all your writing, whether its a song, a poem or a story, it goes here. Graphic Art is anything that you designed on the computer! Post them here for others to admire! This is where you can post Pictures that you took here! No personal photos allowed! Media is one of the arts, so you can post videos here. you must get approval of your video before you post it. All rules apply here!!! Post your drawings or paintings that you made here! Host a contest for who can make the best whatever! No prizes, winner gets a shout out on the front page! This is where you post things that don't go into categories of the forum. There is a chat thread, so if you have something random to say, post it there!